Now that people are finally getting around to reading the massive 2,000+ page health care law, new taxes and compliance requirements are coming to light. One revelation is the expansion of 1099 reporting requirements. Starting in 2012, businesses that make property purchases will have to issue 1099 forms to each vendor when they spend $600 or more with that vendor in a year. Property is a broad term that includes inventory purchases and supplies. In 2012, businesses will also have to start issuing 1099 forms to corporations (under current law businesses do not have to issue 1099 forms to corporations). A 1099 form is used to report certain types of income (rent, interest, dividends, miscellaneous income) to taxpayers. When you issue a 1099, you issue one copy to the party you paid money to, and you issue another copy to the IRS. Example: ABC Restaurant buys food items from a local grocery and spends $10,000 during the year. ABC Restaurant will have to issue a 1099 to the local grocery reporting the total purchases of $10,000 during the year. Under current law, ABC Restaurant does not have to issue a 1099. Example 2: Cheatum & Howe Law Firm buys a $700 printer from Office Depot. Cheatum & Howe Law Firm will have to issue a 1099 form to Office Depot reporting $700 of purchases. Business will not have to issue 1099 forms to each vendor from whom they spend under $600 in a year. So, if Cheatum & Howe bought a $500 printer, they would not have to issue a 1099 form. If they bought 2 $500 printers from Office Depot during the year, they would have to issue a 1099 because total purchases during the year were over $600. Well, businesses will have to ensure that they are tracking total payments to each business they deal with during the year. The address and EIN of each vendor will have to be kept on file. If there is a discrepancy between the dollar amount you report on a 1099 and your vendor’s records, get ready for an angry phone call. Consider how many vendors you buy “property” from. Is it in the dozens or hundreds? Businesses are in for an administrative nightmare starting in 2012. The IRS will compare expenses on business’ tax returns and then compare the amounts to 1099 forms issued. Example: XYZ Corp shows office supplies expense of $3,000 on its tax return. The IRS reviews the 1099 forms issued by XYZ Corp and finds 1099 forms showing $1,000 of purchases reported to office supply companies. The IRS will want that $2,000 discrepancy explained. What if you choose not to comply? Failure to Issue 1099 Form: $50 for each 1099 not filed. The maximum penalty is $250,000. Issuing an Incorrect 1099 Form: $50 for each incorrect 1099 form filed. The maximum penalty is $100,000. Issuing a 1099 Form Late: $50 per late 1099 form. The maximum penalty is $100,000. Fine Print: This posting contains general tax information that may or may not apply in your specific tax situation. Please consult a tax professional before relying on any information contained in this post. Sole proprietorships (Schedule C filers) pay self-employment (SE) tax of 15.3% on their net earnings from self-employment. Net earnings from self-employment is basically equal to your business profit for the year multiplied by 92.35% (this is done to effectively allow a deduction for the employer portion of self-employment tax). Example: You have $50,000 profit in your business for the year. To determine net self-employment income, you multiply your $50,000 profit by 92.35% which equals $46,175. This $46,175 is then multiplied by the 15.3% self-employment tax rate to calculate your SE tax for the year of $7,064.78. The reason you multiply your profit by 92.35% is to allow a deduction from your profit for the 7.65% (100% minus 92.35%) employer portion of self-employment tax. How does an S Corp Reduce SE Tax? S Corporation owners pay FICA taxes (i.e., self-employment taxes) on wages they draw from the corporation. S corporation owners do not pay FICA taxes on profit or on distributions they take from the corporation, assuming the owners are drawing reasonable compensation from the S corporation. Example: Joan owns 100% of S Corp, Inc. S Corp, Inc. has $55,000 in profit (after paying owner wages of $45,000) for the year. Assume Joan’s wages of $45,000 for the year are reasonable. Joan pays FICA taxes (employer and employee portions) of $6,885 on her $45,000 wages ($45,000 * 15.3%). She does not pay FICA taxes on the $55,000 of profit she had during the year. As you can see, Joan saves $7,244 ($14,129 minus $6,885) in FICA taxes by being an S corporation. Note: If the S corporation pays unreasonably low wages, the IRS can recharacterize any distributions as wages and subject the owner to additional FICA taxes, plus penalties and interest. There is a limit on the amount of proprietorship profit/wages that are subject to SE tax. Wages/proprietorship profit under $106,800 are subject to SE tax of 15.3% (including Social Security and Medicare portions). Wages/proprietorship profit over $106,800 are subject to SE tax of 2.45% (Medicare portion only). Starting in 2013, an additional 0.9% tax is imposed on wages/proprietorship profit in excess of $200,000 for single filers and $250,000 for joint filers. What are the SE tax rules for LLCs? 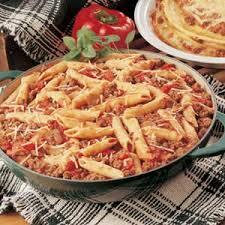 That’s a whole different bowl of mostaccioli. Stay tuned for the answer. Buzzkill Disclaimer: Any tax advice contained in the body of this post was not intended or written to be used, and cannot be used, by the recipient for the purpose of avoiding penalties that may be imposed under the Internal Revenue Code or applicable state or local tax law provisions. Any information contained in this post does not fall under the guidelines of IRS Circular 230.